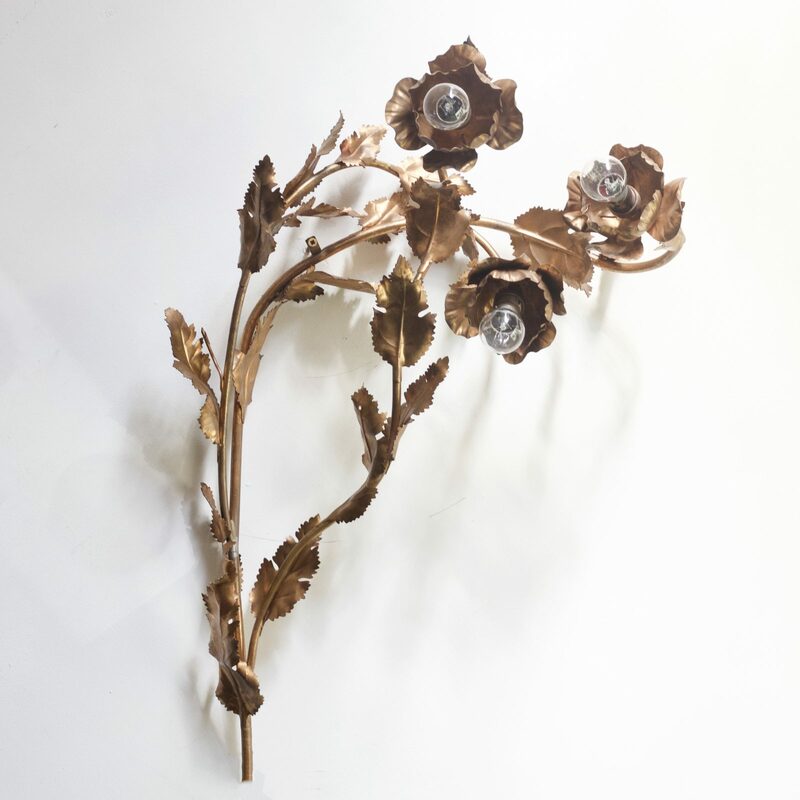 Gilt brass floral Toleware wall light dating from 1950s France. Fully rewired and restored. Requires three B22 lamps.